It's not clear if this mix is the one featured on the LP or why the song is on both side of the acetate. Perhaps each side is a seperate mix. This song was also performed for the BBC. 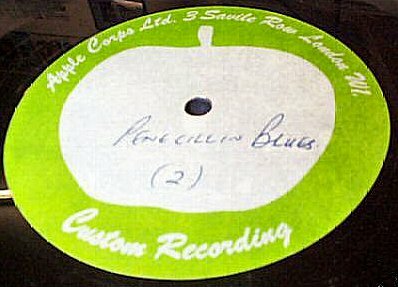 Perhaps the acetate originates from a BBC recording. 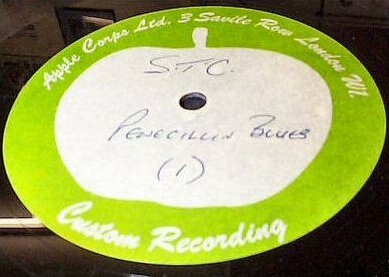 THESE 10" APPLE ACETATES ARE EXTREMELY RARE. PROBABLY CUT BY HEAD HONCHO 'PORKY' A.K.A. GEORGE PECKHAM. 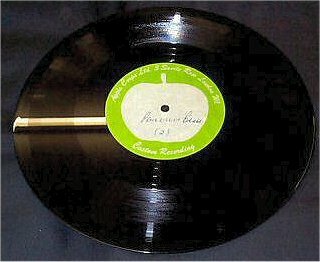 THE BAND OF PLAY IS NOT THAT OF A 45, SO THIS IS NOT A 'MASTER', WHICH MAKES IT EVEN RARER, AS IT WAS CUT FOR DEMONSTRATION PURPOSES ONLY.